Ross & Cromarty Roots | Isobel Mairi Macrae. 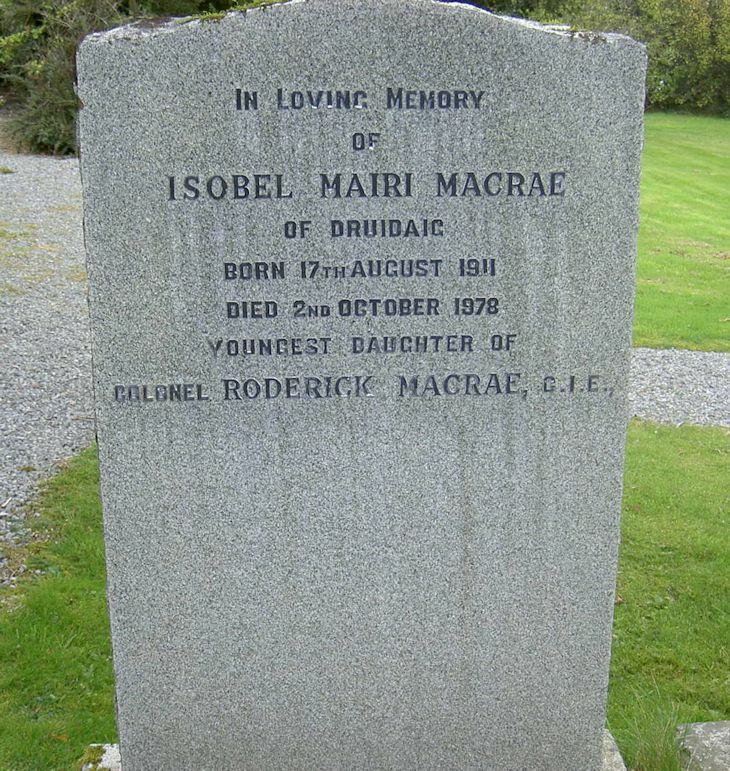 In loving memory/of/ISOBEL MAIRI MACRAE/of Druidaig/born 17th August 1911/died 2nd October 1978/youngest daughter of/Colonel RODERICK MACRAE, G.I.E. Picture Added on 28 August 2014.